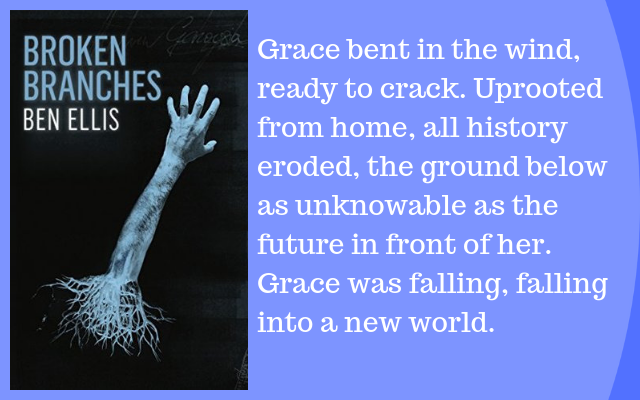 Broken Branches a page-turner of a dystopian that is focused on eugenics. I loved the main characters of Tom, Grace, and Charlie. Set in England, it is believable that genetic evidence of parentage would be required given their long history with peerage and class. The science is a little less believable. Overall, I enjoyed the book. It was a quick read, and I was intrigued by how the society functioned. A certain degree of suspension of belief is required as if you start thinking about it too hard, things don't quite add up. Like, if all men are sterile unless given permission to procreate, then why are there still "broken branch" orphans? Okay, it is possible that while fertile the man impregnants more than just the woman he has permission to reproduce with. Or as we see in this story, the fertility drugs are stolen. Though you would think the parents would keep the child if they went to that extent. 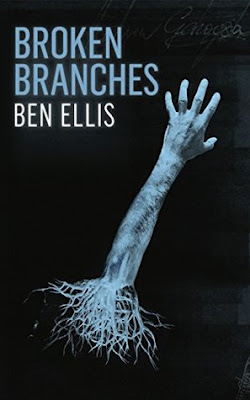 While the reader gets the impression that "broken branches" (people who cannot prove their lineage) are oppressed, there's not a lot of evidence that is the case in the immediate story. There are not separate but equal facilities for thoroughbreds (those whose lineage is proven) and broken branches. They shop in the same shops, drink in the same bars. Marriage doesn't appear to be denied, and in fact, Tom, Grace's husband, is a thoroughbred. Broken branches are not barred from employment though they may not have the best jobs. Charlie is a window washer. Are they barred from education? If that is the case, it may be more of a result of being an orphan and not being able to afford university. Being allowed to procreate seems to be the one area where a true barrier exists. Since a panel of citizens decides who can and cannot procreate, personal prejudices against broken branches would see more denials for broken branch parents. And it does seem to be that personal prejudices are the main form of oppression. There is a group of radicals called the Gardeners, led by Shears, who feel it is their duty to maintain the purity of the National Family Tree. It is a bit unclear why the society is so focused on genetic purity. I'm not sure if they are looking to create a truly superior race or just one that is without defect. But the latter doesn't really make sense given they can modify in utero one's genetic code to ensure that diseases and other mutations are removed before birth. To me, it just seems like an extreme form of inbreeding if you only allow those with verified lineage to reproduce. Sorry, the scientist in me gets a little crazy with the science in fiction. But like I said if you suspend belief the story is really quite good. And truth be told, it wasn't until I finished the story that I really started thinking about the science as I was pretty much sucked into the story. So while reading the book the science didn't really bother me, the alternating chapters of the imprisoned storyteller. There are important pieces of the story revealed by this person, but I hated being pulled away from the story of Tom, Grace, and Charlie. I kept trying to figure out if there was a better way to relay this information. It might have just helped if it had been explained sooner that this person had pertinent information instead of just being an annoying distraction which is all I felt for the first several chapters. I wonder if there is a sequel is planned. If not, then I found the ending very unsatisfying. I felt that there was this big reveal and then nothing. I wanted to what now? Where do the characters go from here? What implications does it have on the society? It might sound like I'm pretty negative about the book, but I really did enjoy the story. I often read dystopian and science fiction for the consideration as a book club read and I think Broken Branches would make an excellent book club book. This review has largely been my ramblings of possible points of discussion. Humm, I'd likely pass on this one. That cover is great but, I don't think this is one I'd read. Sounds a bit creepy, but that cover is a great hook. The cover is hard to look at. I'll pass. I'd pass on this one since it isn't a genre I enjoy. Plus I'm a cover snob and that cover is freaky. It has been awhile since I've read a dystopian novel. Glad it was a good read for you.